This week, the non-profit Learn The Risk launched five billboards on the East Coast, including New York and Boston, honoring Nicholas Catone, a healthy 20-month old boy who lost his life to vaccines. The five-city billboard campaign aims to raise awareness of vaccine side effects, including death. This week, the non-profit Learn The Risk launched five billboards on the East Coast, including New York and Boston, honoring Nicholas Catone, a healthy 20-month old boy who lost his life to vaccines. 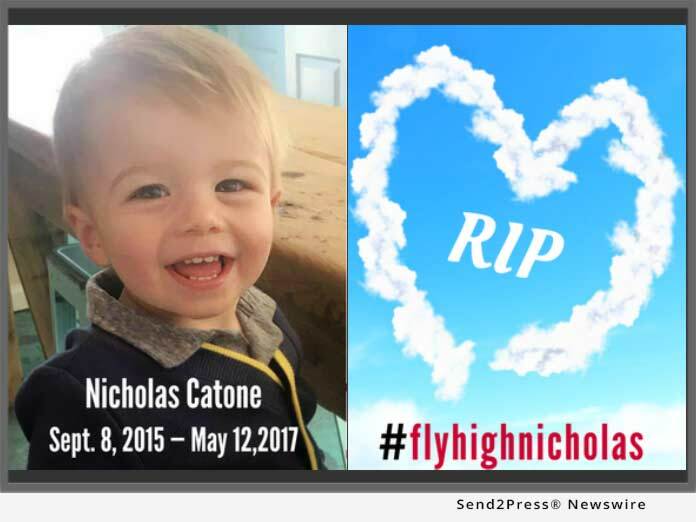 On September 8, 2018 Nicholas Catone should have been celebrating his 3rd birthday — but he didn’t. Nicholas, the little boy pictured in the billboard, died just days after receiving his routine childhood vaccines. His death, like thousands of others every year, was labeled Sudden Infant Death Syndrome (SIDS). The five-city billboard campaign aims to raise awareness of vaccine side effects, including death, as listed on vaccine product inserts and as shown in scientific reports published in leading medical journals (*Note 1). When multiple vaccines are given at one time, the risk of serious side effects increases and the campaign aims to help parents make educated choices for their families. “You get angry because his death could have been prevented. Nobody ever mentioned any of this to us,” said Nick Catone, Nicholas’s father in an interview with News12, New Jersey (*Note 2). Given this estimate, vaccine-related deaths could be closer to 700,000, while serious side effects would be in the millions. Yet many parents are not told about side effects of vaccines until it’s too late. Many of these deaths occur in children under one year old after receiving one of the 35 childhood vaccines on the U.S. schedule given to infants. Most deaths are labeled SIDs, which is purely a label for deaths with an unknown reason. More than 23,000 U.S. children die in the U.S. before their first birthday, with most deaths being labeled as unknown cause or SIDS (*Note 5). Learn The Risk, a grassroots educational 501(c)(3) non-profit, has an important mission: to create a healthier world. Learn The Risk educates people on the very real side effects and dangers of pharmaceutical drugs and treatments, including vaccines. The organization was founded by former pharmaceutical (Merck) insider Brandy Vaughan, after she learned too much about the real dangers of pharmaceutical drugs and treatments while working on the inside. Brandy left Merck, one of the largest pharmaceutical companies in the world, disturbed by what she saw with the infamous drug VIOXX, which she sold for the company. She now speaks internationally about our broken healthcare system, and has made it her life mission to create a healthier world – one person at a time. “After working inside the pharmaceutical industry, I realized that just because something is on the market and your doctor gives it to you, does NOT guarantee that it’s safe. In fact, pharmaceutical drugs and vaccines are one of the leading causes of death in the U.S. People deserve this information,” Brandy states (*Note 6). Learn The Risk reaches MILLIONS of people each month through powerful advertising & social media campaigns, and is the leading website resource for those researching pharmaceutical and vaccine dangers as well as a healthier lifestyle. 5. Boston, MA: On highway 99 Northbound, Route 1 near Bryson Rd, facing north.